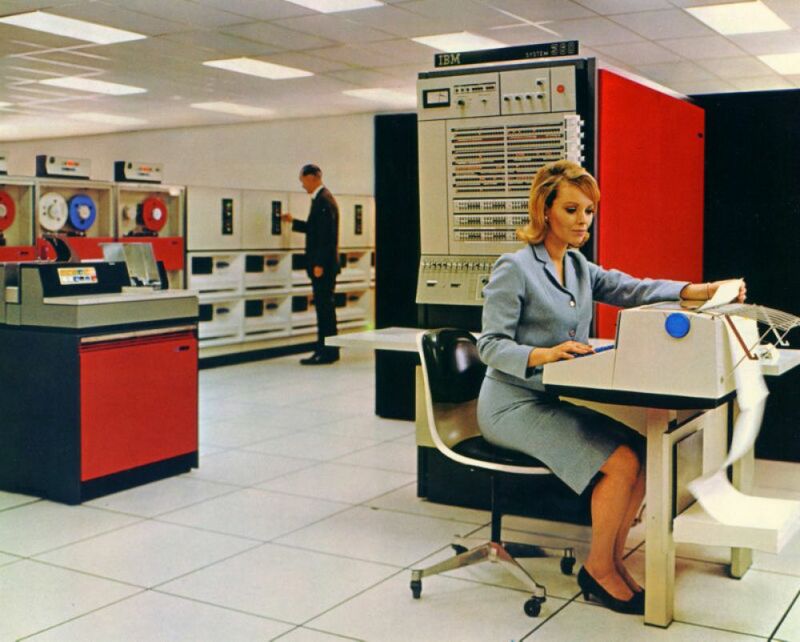 So, I figured it was about time my IBM 360 console panel got itself attached to a cabinet again. 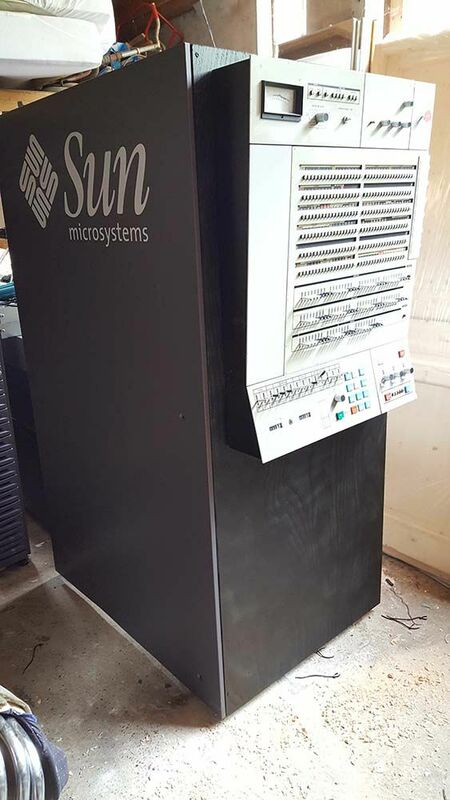 Obtaining a real IBM 360 cabinet is out of the question, of course - as far as I know, the only remaining 360 model 65 is at the Smithsonian - but since my recent Sun haul, I have a spare SunFire 6800 cabinet. 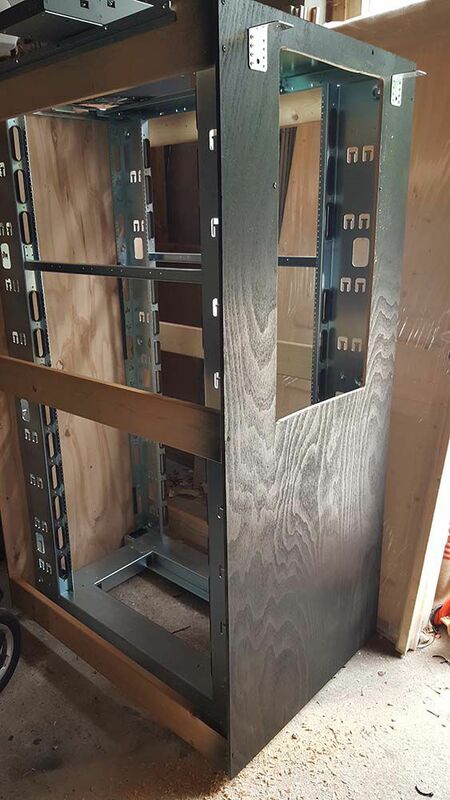 Since I doubt I'll ever need to replace the cabinet on my 6800, I decided to repurpose the Sun cabinet. 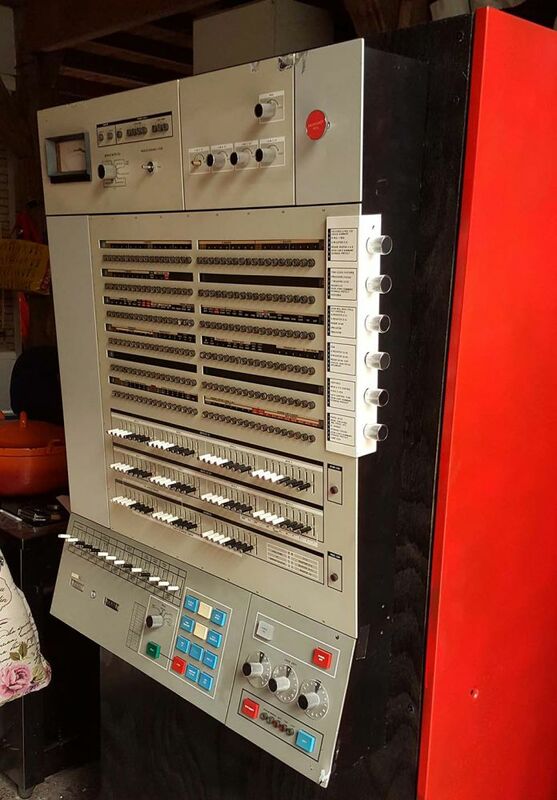 So, I gave it a black plywood front, widened it a bit, spray-painted the sides in a nice IBM mainframe red (judging from photos, RAL 3024 comes pretty close), and attached the panel to it. 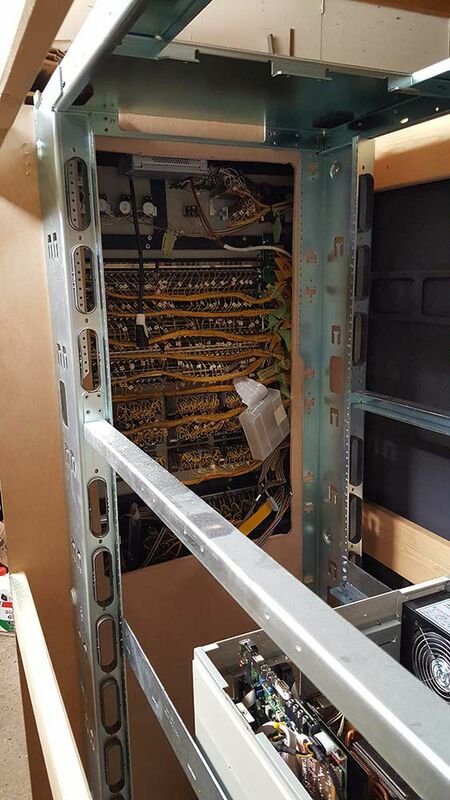 Inside the cabinet goes the PC with the FPGA card that emulates the 2065 CPU. On the PC runs a modified version of the Hercules emulator to provide IO capabilities to the mainframe emulator on the FPGA.